Geri and Sharon Johnson with a family photo with their two adopted children, Megan and Aaron. Sharon Johnson knew this was going to happen. In 2014, after the first time her son was shot by police, she predicted it would happen again if something didn't change. Aaron Johnson, recently kicked out of a group home and teetering on the brink of homelessness, made three calls to police from his second-floor motel room at the bottom of Sunset Boulevard. In the first, he said his roommate hit him in the face. He called back saying his roommate had a knife, and in the third call he mentioned a gun, according to police. In an interview with the Inlander a week after the shooting, Johnson says he wanted it all to be over. He wanted police to kill him. The officers who responded to Johnson's calls were told he had a misdemeanor warrant, was a convicted felon and has a history of violence. But one crucial detail was missing. He'd been shot by police before. In 2014, Spokane officers shot Johnson at least eight times after he refused to drop a knife outside Truth Ministries Spokane, where he'd been staying. That night, he was acting paranoid and gave a fake name when he checked into the shelter — a markedly different demeanor from the quiet, reserved man that shelter director Marty McKinney got to know briefly. Last week, after he was forced to leave a group home following a court-ordered stint at Eastern State Hospital, his paranoid thinking appears to have taken hold again. Video surveillance footage from the West Wynn Motel shows Johnson pursuing an officer with what turned out to be a fake gun in his hand, moments before he crumples to the floor outside a block of second-story rooms. That was the final of three officer-involved shootings in a matter of five days. Two of the victims, including Johnson, are alive. One man, Mike Kurtz, died on the scene. All three had contact with the mental health system, according to police. The community is asking familiar questions: Would better police training help? Is a depleted mental health system to blame? Sharon Johnson wonders if there's only one answer for her son. "The only solution I can see at this point is to put him back in Eastern State Hospital and never let him out," she says. "What kind of life is that?" Sometimes it takes a few seconds for Aaron Johnson to respond to a question. From a booth at the Spokane County Jail, his eyes shift back and forth while he thinks. His medication causes him to slur his words and fogs his memory, he says. He's been diagnosed with schizophrenia, but he disagrees with that assessment and sometimes refuses to take his meds. He says the government is using them to kill his spiritual gifts. "I wanted it all to end," says Johnson, 32, of the reason he called police to his motel room. "I don't need the medication at all. I know I wasn't sick when I went into this." Earlier that day, Sharon Johnson took her son to buy groceries. They ended the visit like they always do, with a hug and an "I love you," she says. Aaron Johnson, pictured during his most recent stay at Eastern State Hospital. 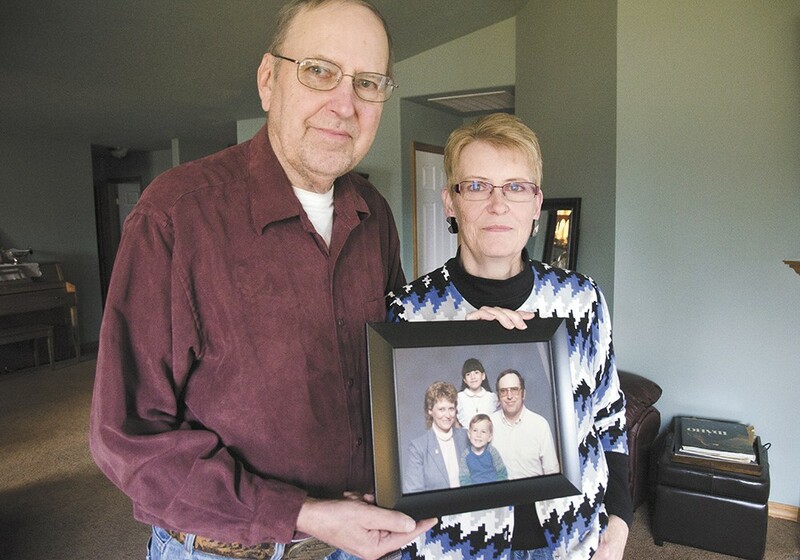 From the dining room table in her Spokane Valley home, she keeps looking over at two photos across the room: One of 15-year-old Aaron before his illness took over, the other taken at Christmastime during his most recent stay at Eastern. "That's what the disease has done to him," she says. Within hours after she left him, her son lay bleeding from gunshot wounds. He's currently facing three assault charges. Last year, Eastern State Hospital psychologist Patricia Gunderson and another psychiatrist testified in Spokane County Superior Court that Aaron Johnson is "gravely disabled" and should not be allowed to leave that hospital. 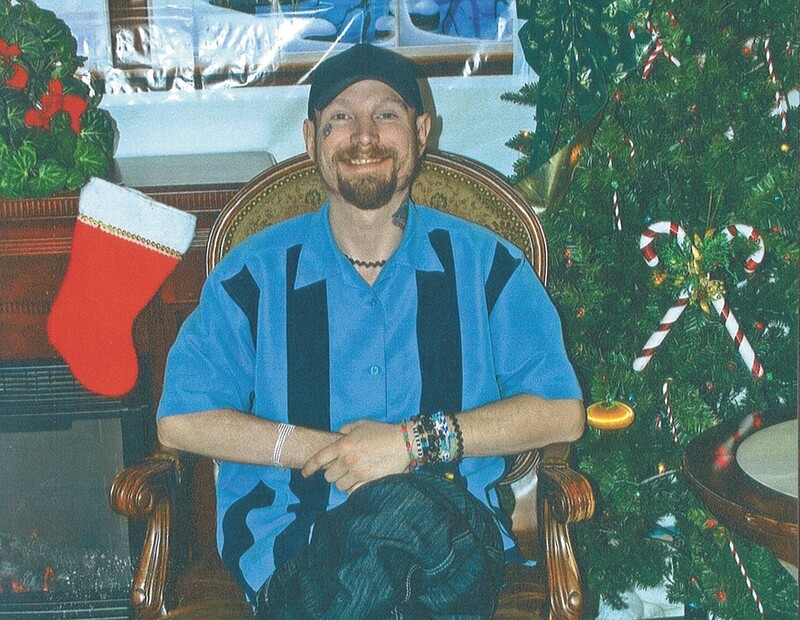 Both agreed that he needed hospital-level care and his schizophrenic symptoms would intensify without medication. He was later released to Mallon Place, a local group home, with court-imposed conditions. He stayed there for about two months before he was forced to leave. He says he was aggravated by staff looking through his things. At one point, he was arrested and spent a night or two in jail, Sharon Johnson says. The confrontations continued when he returned, but she says she's been given few specific details as to why her son was forced to leave. Mallon Place staff declined to answer Inlander questions. Faced with the possibility of letting him wander the streets, his parents put him up in a room at the Downtowner Motel, then in a Motel 6 by their Spokane Valley home, and finally at the West Wynn Motel. He isn't allowed to stay with his parents, Sharon Johnson says: "You never know what's going on in his head." But she still does an occasional load of laundry for him, buys his groceries or takes him for lunch at Zip's. He usually gets a marshmallow milkshake. Johnson says he spent most of his time at the motel watching TV, and motel staff has said he didn't cause any problems during his stay. "He's had a terrible life, I'll tell ya," Sharon Johnson says. "Through the whole thing we've tried to get him help and tried to get him help, and it's just not there." City leaders pointed to House of Charity's recently reduced hours of operation and dedicated $200,000 to fund the shelter, which operates at a nearly $600,000 budget deficit, for the rest of this year. The Downtown Spokane Partnership kicked in another $50,000, but more is needed, says Council President Ben Stuckart. By next year, the city plans to provide funding to keep the shelter open 24/7. "House of Charity being open 24/7/365 and Providence's plans for more mental-health-dedicated beds are the best chances we have as a community to address this issue for the chronically homeless," Rob McCann, executive director of Catholic Charities Spokane, wrote in a statement. "I am hopeful that with more services, more understanding and less vilification and less punishment, there will be fewer moments where courageous men and women police officers have to make heart-wrenching, instantaneous decisions in impossible situations with our Catholic Charities clients." McCann is referring to a new $37 million psychiatric facility to be built in Spokane by next year, which could add 72 beds to Providence Sacred Heart's 24-bed inpatient psychiatric facility for adults. Then there's the continuous tension between law enforcement and those struggling with mental health. Every SPD officer has gone through 40 hours of crisis intervention training to learn how to recognize and interact with people in crisis, and as of July 2017, all new officers in Washington state will go through at least eight hours of the training at the basic academy. However, for people like Johnson, who've been in and out of jails and psychiatric wards and don't believe they have a disease, it seems the solution must go beyond more money, more beds and more training. Spokane County Sheriff Ozzie Knezovich suggests an intermediate facility where police can take people who need supervision but don't belong in jail.